Timmy’s is here! The fresh-brewed coffee and delicious food we all love is now available on the second floor. Why not try a new dark brew or a latte with a tasty box of Timbits – or a tempting hot soup and sandwich combination? 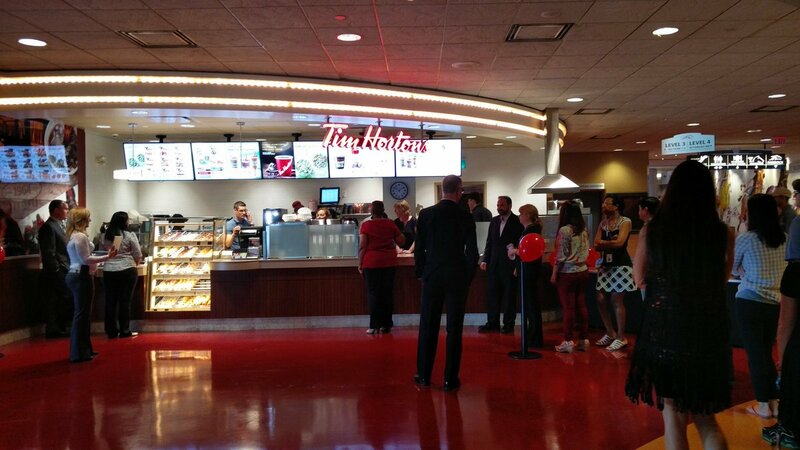 Our Tim Hortons location – right near the rails – offers all the trusted coffee choices along with delicious freshly-prepared food for a casual and satisfying breakfast, lunch, dinner or snack.